Extending Goshree bus service to other parts of Kochi was part of the election manifesto of LDF in 2016. KOCHI: Sindhu, a middle-aged woman, works at a tea stall in Kaloor and earns around `350 per day. Hailing from Vypeen, her daily commute from home to the workplace and back is a woeful and expensive affair while the mercy of the authorities could have solved the issue to a certain extent. This is not the story of Sindhu alone but the daily experience of thousands of people who travel from Goshree Islands and Vypeen area to Kochi city. 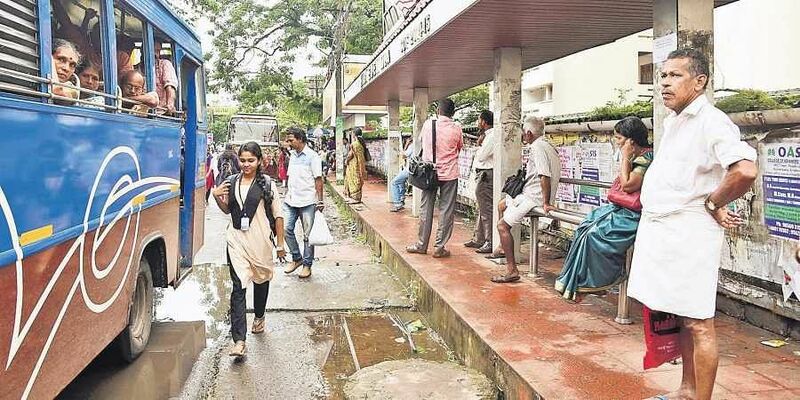 Even though the demand for permitting buses from Vypeen side to enter Kochi city is as old as Goshree bridges themselves, island residents have received nothing but hollow promises. "Why then are the buses from Vypeen alone kept off? If buses are permitted into the city, daily wages workers from Vypeen can reach Ernakulam North, Kaloor, Palarivattom with ease. Now, we have to get down at High Court Junction and spend another `8 to reach Kaloor. If buses from Vypeen come into the city, we could reach Kaloor for `10 in place of `18 now," she said. Equally, the bus waiting shed at High Court Junction get overcrowded in the evening when people return home from their workplace. "Hardly 10 people can stand inside the waiting shed. But at evenings 50 people together would be waiting for the bus. The situation becomes worse during the rainy season," said Sindhu. Majnu Komath, chairman of Goshree Action Council, said the demand for extending buses from Goshree Island to other parts of Kochi started in 2004 when the Goshree bridges were commissioned. "After the commissioning of the Goshree bridges, we raised demand for extending bus services from Vypeen side to Kakkanad, Chittoor, Tripunithura and Thevara ferry. In November 2004, MLAs, Traffic Police, GCDA, RTO and members of local self-governing bodies met to discuss the issue. In the meeting, it was decided to extend the buses from Goshree buses to other parts of Kochi in a month's time. The technicalities related to extending city limit up to Vypeen can be solved in a few hours. However, apart from the decision taken in the meeting, the authorities did not take any step," he said. In another meeting, it was decided to extend the buses that wait up to 1 hour at High Court Junction till Vytilla and the buses that wait for half-an-hour at High Court Junction till BTH Junction or Kaloor stand. 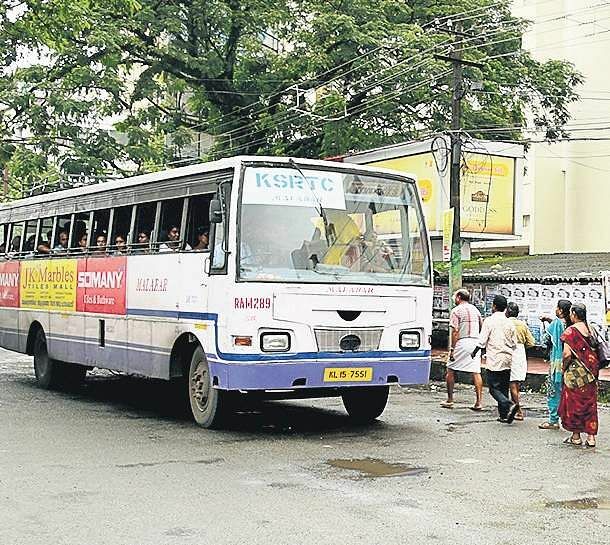 However, Komoth said private bus operators in Kochi are lobbying against allowing Goshree buses to the city. "Authorities claim buses from Goshree Island will lead to traffic blocks in Kochi. Interestingly, such claims are made at a time when the public transport system has to be popularised. How can the buses from Goshree Island cause traffic block when around 30 per cent private buses were stopped with the arrival of Metro?," he asks. Extending Goshree bus service to other parts of Kochi was the 14th point in the election manifesto of LDF in Ernakulam during the Assembly election in 2016. However, two years after the LDF won the Assembly seat in Vypeen, the promise in its election manifesto still remain on the paper. "During panchayat, Parliament and Assembly elections, leaders promise to take necessary steps. We do not believe in these fake promises. These issues can be solved in a short span of time, but nothing has changed for the past 14 years," Ayyappan, a bus driver said. "As the stretch is nationalised, neither the RTO nor the Regional Transport Authority (RTA) has any role to play. Only the government can take a final decision in this regard and we have already submitted a request to the Transport Commissioner to bring an amendment in the rule," said Ernakulam RTO Reji P Varghese. To decongest Kochi roads from severe traffic blocks, every first Friday is observed as Kochi Transport Day. In the July edition of Transport Day, District Collector K Mohammed Y Safirulla travelled from Vypeen to High Court Junction on a private bus to understand issues faced by commuters. Organised by Centre for Public Policy Research (CPPR), a Kochi-based think tank carrying out campaign to extend Goshree Islands buses to other destination in Kochi. During his travel from Vypeen to High Court Junction, several travellers raised similar demand. This is a complex issue to be dealt with very deep involvement of all stakeholders. The possibility of extending city buses to vypeen and N paravur also to be explored. Nobody can ignore the law.